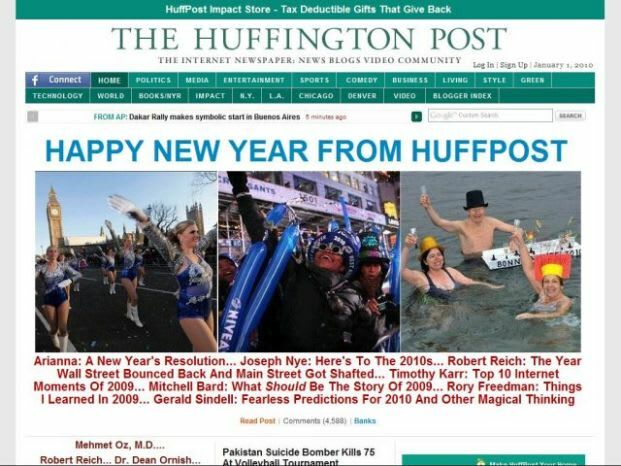 In a move that crystallizes AOL&apos;s recent efforts to get its groove back, the company announced last night that it will buy The Huffington Post. AOL will pay $315 million in cash and stock to acquire the popular Left wing news and opinion site, which was started by media guru Arianna Huffington six years ago. AOL&apos;s CEO Tim Armstrong has been gambling big on news and editorial content as the future of the company, which had its peak influence in the dial-up era. AOL already owns the popular tech blogs TechCrunch and Engadget among others, and has been pushing its own original news sites SEED and Patch. Armstrong made headlines last week by demanding that AOL&apos;s sites increase their output from 33,000 stories per month to 55,000 and that those stories average 7,000 pageviews a piece. That kind of output basically means content farming, and HuffPo isn&apos;t exactly known for its refined editorial sensibilities, either. Huffington will now be President and Editorial Director of all of AOL&apos;s news sites, including Pop Eater, Politics Daily and Spinner. She&apos;ll give the company&apos;s news wing a face and a voice, which, while risky, could do well for them in an era of uber-successful personal media brands like Nick Denton and Andrew Breitbart.